ABS material resistant to shock and light ,and the internal pouch is superior in impact resistance. 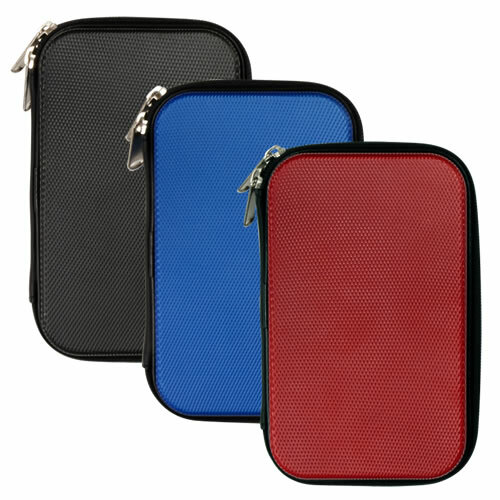 As it's made with urethane material, it has a high cushioned external case. At the same time,it's very light. 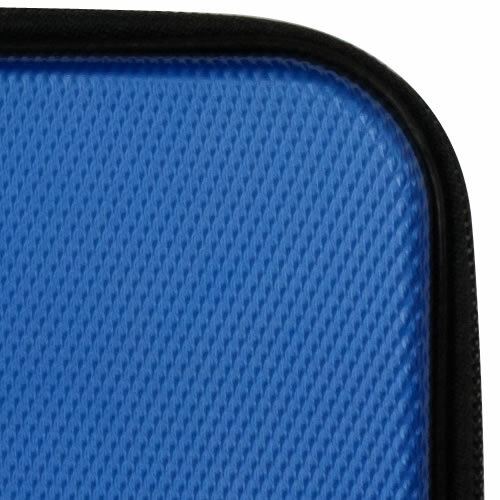 It will firmly protect the 3DS LL body from sudden shock such as dropping . Attentive design to prevent the body from scratches and falling ! ABS strong material, such as shock, double material! External case of strong ABS + urethane urethane material using high cushioned internal to external shocks. From sudden shock such as dropping, I will firmly protect the NEW 3DS LL body. 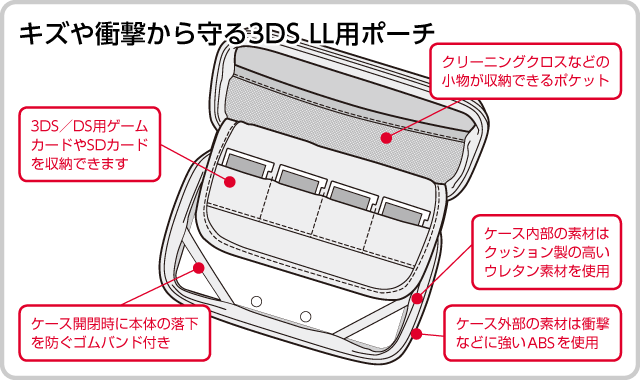 The storage & portable compact-related items can be stored in a compact and mobile related items and the body!NEW 3DS LL body. 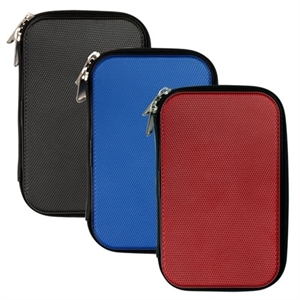 I is equipped with free pocket that can hold a cleaning cloth, etc., inside, the holder can be stored separately four game card. The attentive design! Inside to prevent scratches and fall of the body, it is equipped with a safety band to prevent the fall of the 3DS LL body. In addition, I-Flex design item that put away and the metal fittings of the fastener is not directly touch the 3DS LL body to prevent scratches caused by contact when carrying or when opening and closing. It is equipped with a free pocket that can hold a cleaning cloth, etc., inside, a holder which can hold a separate four game card. I can be stored in a compact and mobile related items and NEW 3DS LL body. It is equipped with a safety band to prevent the fall of the 3DS LL body when opening and closing, the design items that I put away and the metal fittings of the fastener is not directly touch the NEW 3DS LL body, and also takes care of a wound from internal as well as external shocks porch. It may be used in conjunction with jacket and Protect Case, up the guard force from scratches and dirt! I can put away the 3DS LL body while wearing our products below. Your story was really intromafive, thanks!